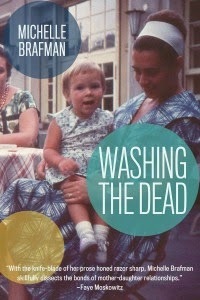 Michelle Brafman is the author of the new novel Washing the Dead. 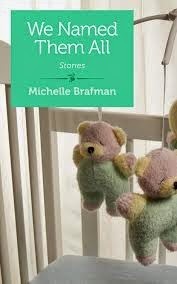 She also has written a short e-book, We Named Them All, and her work has appeared in a variety of publications, including The Washington Post and Tablet. 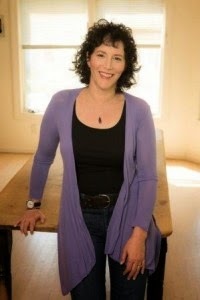 She teaches fiction writing at the Johns Hopkins University, and she lives in Glen Echo, Maryland. A: Eudora Welty said that "writing is an act of discovery," and through the drafting, I learned not only how the book would end but the resonance I wanted to achieve with the closing material. A: I am working on my second novel, entitled Status Change, which is set amidst the backdrop of a summer swim league. I'm having a ton of fun writing from four points of view, including a woman whose Facebook posts become chirpier the more her status changes in her treasured swim team community, marriage, and a friendship that matters most to her. On the surface this seems like a very different book, but I'm still writing about the ruptures secrets cause and how they can be mended with love and a burning desire to understand a family history. And once again, I'm writing about water. Many thanks for commenting, and for hosting the carnival! Catching this post via the Jewish Book Carnival. Michelle's book is right here beside me, and I'm even more eager to dig into it after reading this interview. Thanks for commenting, Erika--this book is definitely worth reading!